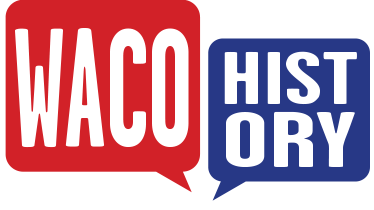 Waco rapidly industrialized in the early decades from its founding. The arrival of the railroad and the building of the Suspension Bridge increased the numbers of travelers through the region, and the city soon became a thriving urban center. In 1871, Peter McClelland, a local civic leader, built the McClelland House Hotel at the corner of Fourth Street and Austin Avenue in order to meet the growing demand of visitors. The hotel opened in 1872, and served as an important attraction for businessman and travellers until McClelland’s death in 1886. 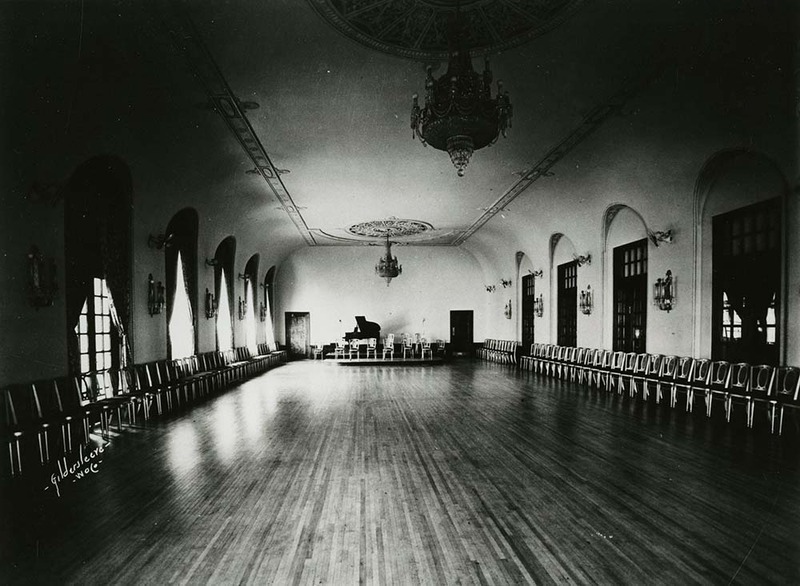 Issues with his will arose, and in the 1920s the hotel was put up for sale in order to pay attorney fees associated with settling the estate. Conrad Hilton, who would later become known for his international hotel chain, bought the property at that time. 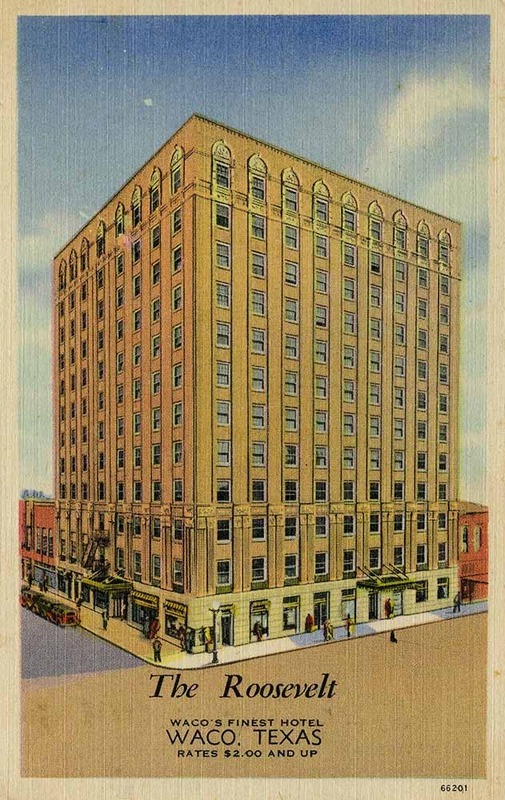 The third Hilton Hotel in Texas opened in Waco in 1927. Despite Hilton’s early success, the Great Depression took a toll on his finances. Forced to give up three of his eight hotels, Hilton decided to sell his Waco business to local investors. At that time, the new owners left the original style of the hotel largely intact, changing only the name. 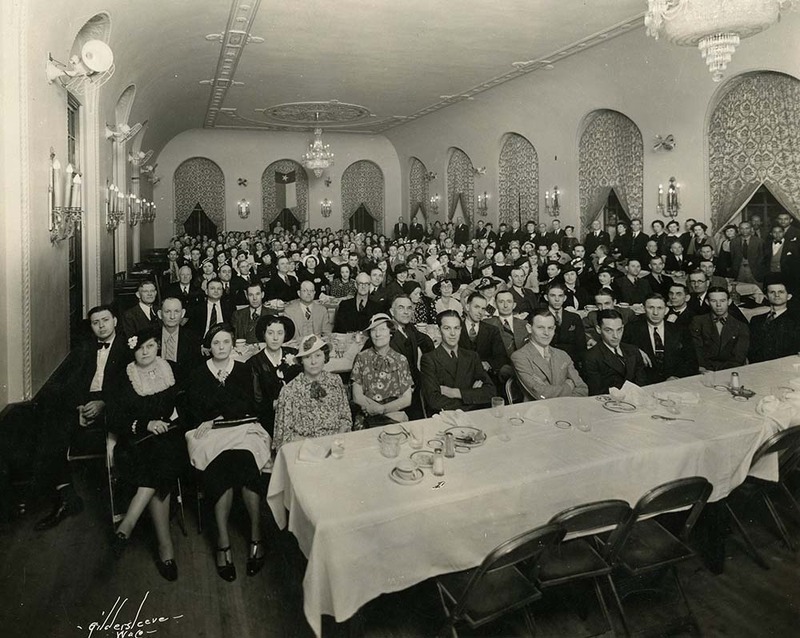 In 1934, the hotel became known as the Roosevelt Hotel, in honor of President Franklin D. Roosevelt and the New Deal. 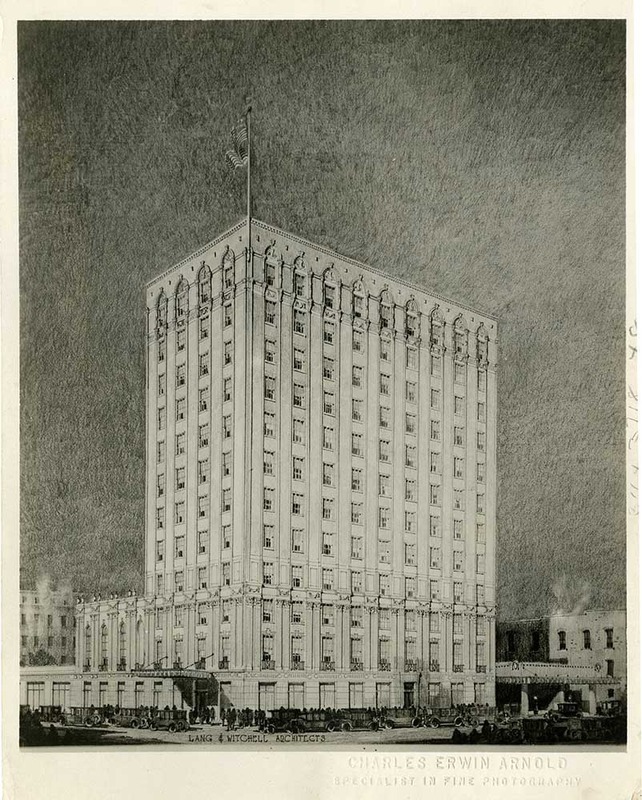 The Roosevelt Hotel soon became known as the “acme of hoteldom,” according to the Waco Tribune-Herald in 1936. Owned and staffed completely by Wacoans, the hotel’s friendly atmosphere and vigilant attentiveness to guests’ needs established it as a Waco institution. Many visitors expressed that the hotel’s desirability came from its unique combination of modernity and hospitality. 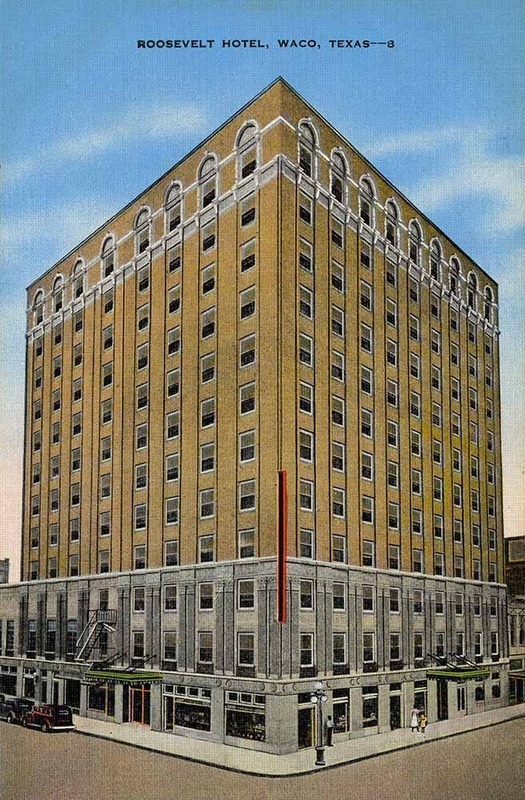 The Tribune-Herald also noted that the hotel brought in a constant stream of transcontinental tourists and traveling men to the city, stimulating economic prosperity. The Roosevelt Hotel stood strong through the mid-twentieth century, surviving the Great Depression and even the 1953 Waco tornado. It was one of three buildings in the deadly storm’s path to remain standing. The building’s solid architecture and steel frame ensured that it incurred little damage; even the large sign on the roof remained intact. Yet the hotel could not survive the serious blow dealt to downtown when large retailers began moving out into the suburbs. As more and more retailers left the city, business slowed for the Roosevelt. The hotel closed in 1961. 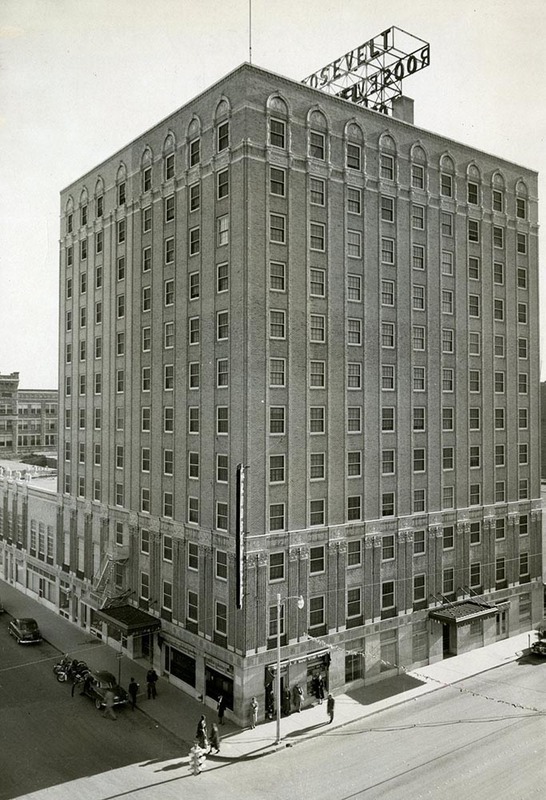 In 1963, the Roosevelt Hotel became the Regis Retirement Home after Allan McDonnell bought the building and donated it to the Catholic Church. The retirement home added an outdoor terrace and sundeck to the former hotel and renovated several other aspects of the building. In 2003, the retirement home moved all of its residents to Providence Park and placed the historic building up for auction. Local builder Mike Clark bought the building in 2004 and began a renovation project converting the former hotel into luxury high-rise offices. The renovations included opening the first floor to restaurants and retail and the creation of ten floors of office space. 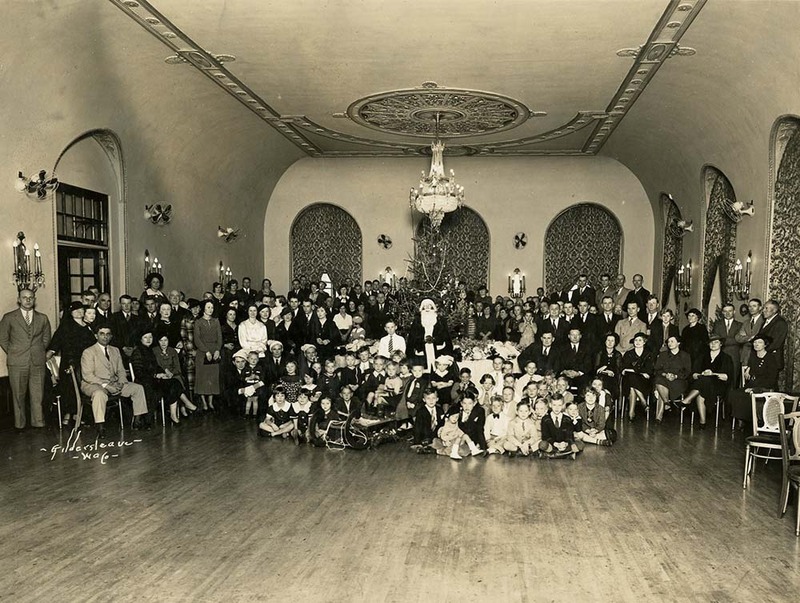 The grand ballroom on the second floor has been restored and can be rented out for parties and events. The majority of office space in the Roosevelt Tower is now occupied by businesses interested in reinvigorating downtown. The renovation of historic buildings such as the Roosevelt Tower provides a unique opportunity for the community to participate in Waco’s future by supporting its history. 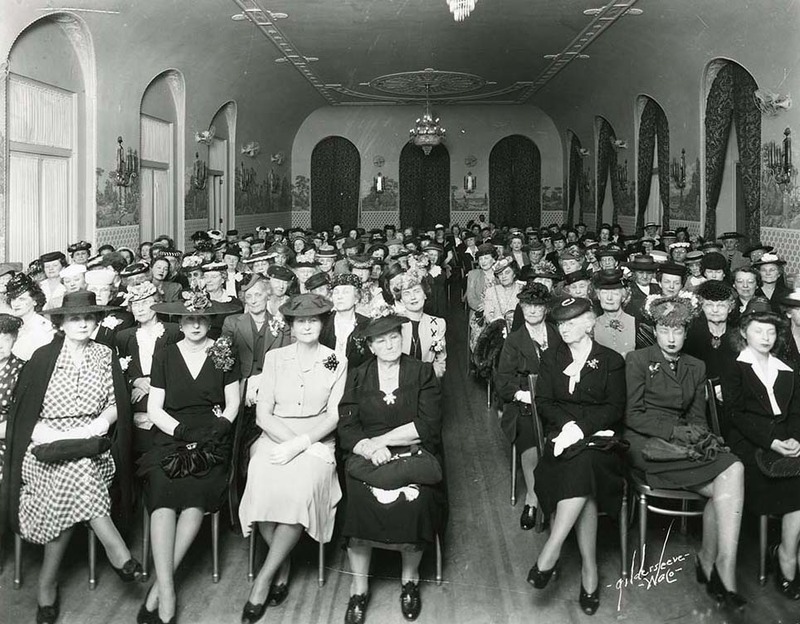 Amanda Sawyer, “Roosevelt Hotel,” Waco History, accessed April 26, 2019, https://wacohistory.org/items/show/41. Copeland, Mike. “Reclaiming Roosevelt.” Waco Tribune-Herald. February 19, 2006. ---. “Regis Up on Auction Block.” Waco Tribune-Herald. July 9, 2003. “Through the Years this Modern Hostelry, the Fine Roosevelt, Has Become a Central Texas Tradition.” Waco Tribune-Herald. June 28, 1936.